Corbyn Campaign Cuts Conservative Lead To Just One Point, Only Half of Public Now Believe Theresa May Would Be Best PM. Methodology: Survation interviewed 1,103 UK residents aged 18+ using a combination of demographically pre-balanced mobile and landline data, conducting fieldwork 2nd – 3rd June. The strong Conservative lead over Labour, which was a high as 18 points in the second poll in our series for Good Morning Britain has shrunk to just one point in the fifth and final update. Only half of those polled (50%) now believe Theresa May would make a better Prime Minister than Jeremy Corbyn (36%) who has seen his best PM rating increase by 15 points over the course of the series, Theresa May’s has dropped by 10 points. But are these changes, applied to a new election, 2 years later under very different circumstances muting the “true” picture in 2017? What effect is self declared turnout having on Survation’s figures? Most of the comments we receive on our GMB polls that have posted steep declines in the Tory lead in three successive weeks have pointed to a subgroup of young people who declare an intention to vote (turnout) bordering on double that which some post-election studies found was the reality in 2015. The effect of an exaggerated turnout, (most conspicuous among the youngest who are traditionally the least likely to vote – the “18-24” category) however is neutral to the CON/LAB position as all age categories in our polling claim a higher likelihood to vote than reality – a common social desirability phenomenon. => Conservative 41.4, Labour 40.1% – a lead of 1.3% – much the same as the headline figures. A further exercise could be undertaken to address concerns of exaggerated self-declared turnout among the young being the “culprit’ of the apparent disappearance of the Tory lead. Performance of a “harsh” adjustment – assuming turnout by age for all age categories is no better than that found by Ipsos Mori in it’s 2015 review of how different age groups registered to vote did or did not vote. Among the age groups, use of these targets, and ignoring the stated intention to vote altogether would take 18-24 voters to just a 43% turnout and only just over half – 54% of the next youngest – the 25-34 category would show up at the polls. But how will younger voters split by party and how many are registered vs 2015 and 2016? The above assumptions were performed on our weighted data, which this week produced a unusual voting intention boost among the 18-24s vs the unweighted data for the Conservative – which we will put into context. For reference, a large sample recent ICM poll with a focus on younger voters found 63 per cent of the 1002 18-24-year-olds polled said they were “absolutely certain” to vote – higher than both the above estimates for turnout above. Of those planning to vote, a higher figure than we see above among these small sub-samples – 67 per cent – said they would back Labour, compared with just 16 per cent for the Conservatives and eight per cent for the Liberal Democrats. The Greens and SNP were both on three per cent, with UKIP and Plaid Cymru on one per cent each. The reason I describe using 2015 turnout assumptions as “harsh” is that there is some evidence the younger voters will play a more crucial and active role in this election – one in which Labour have a “retail” offer to younger voters – new university students will be freed from paying £9,000 in tuition fees as early as this autumn if Labour wins the election. Students who are partway through their courses would no longer have to pay tuition fees from 2018, meaning those starting their final year of study in September would be the last cohort liable for the £27,000 of debts to be paid back when graduates pass an earnings threshold. Beyond ICM’s 63% certainty figure, among under 25s the UK government’s official data from the Electoral Commission, shows new registrations to vote in the 2 month period prior to the deadline among 18-24s up 33% vs 2015 and for 25-34s up 13%. Registrations for the two youngest groups were up +422,688. All other age groups saw registration declines vs 2015 in the comparable period at -236,789. Elsewhere in the polling, the public mood about aspects of the campaign were clear. Three-quarters of those we interviewed do not believe that Theresa May will achieve her pledge to reduce net migration to the tens of thousands, including 29% of current Conservative voters. More than half of (51%), regardless of their intention to vote, think that Labour have had the best campaign, including just under a third of current Conservative voters (30%) and undecided voters (31%). This compares to just 23% who think that the Conservatives have had the best campaign. Similarly, more than half (52%), told Survation that regardless of their intention to vote, they think that Jeremy Corbyn has had the best campaign, including just under a third of current Conservative voters (30%) and almost half of undecided voters (45%), compared to just over a quarter (27%) who said Theresa May. Nearly two-thirds (66%) of people think that a Conservative majority of some description is the most likely outcome of this election, although around two-thirds of those think it will be ‘small’. While the public were generally split over whether they approve or disapprove of the possible government formations listed if there was no overall majority, people would rather one of the main parties governed alone as a minority government rather than forming a coalition. 46% and 43% approve of a Conservative minority government or a Labour minority government respectively, compared to less than a third who approve of either a CON / LD coalition (32%) or a LAB / SNP / LD coalition (31%). I’d welcome your feedback on this summary, which was put together by Survation’s Tom Bristow and Chris Hopkins with some assistance and guidance from The Electoral Commission and former BBC research head David Cowling. 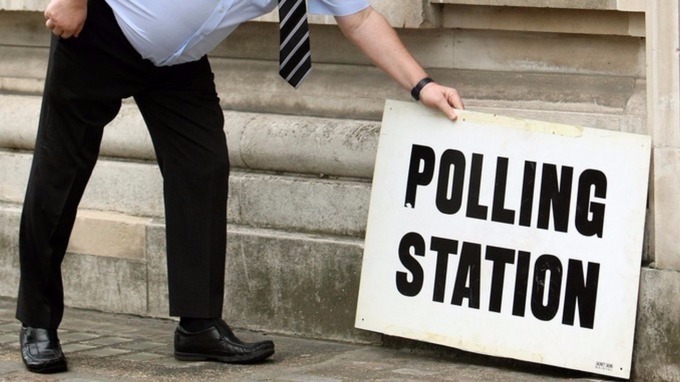 Survation will be conducting General Election voting intention polls up to and on the day the UK goes to the polls. For more information, please contact chris.hopkins@survation.com or call 0203 818 9661.